Boasting a new optical construction the Nikkor AF-S DX 18-300mm f/3.5-6.3G ED VR is 280g lighter than its predecessor, but has a maximum aperture of f/6.3 compared to f/5.6. 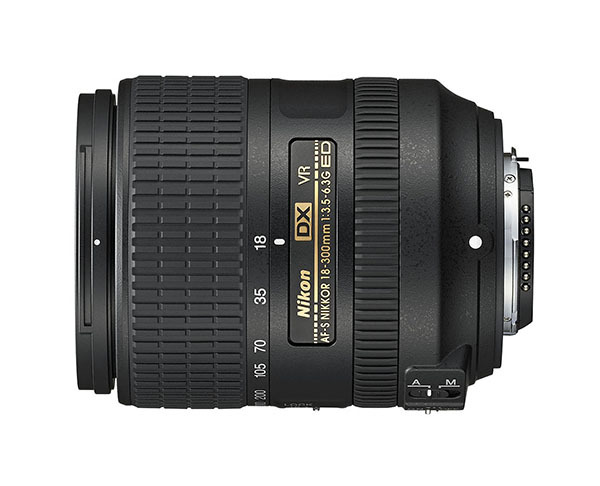 The Nikkor AF-S DX 18-300mm f/3.5-6.3G ED VR is designed for Nikon DX format DSLRs featuring an APS-C sensor, such as the D3300, D5300 or D7100, but isn’t compatible with full frame FX DSLRs like the D610 or Nikon Df. With an equivalent focal length of 27-450mm, taking into account the 1.5x DX crop factor, the AF-S DX 18-300mm f/3.5-6.3G ED VR is a versatile all-rounder, offering wide-angle to super telephoto shooting in a single lens. That’s a big bonus for snappers who don’t fancy carrying around a bag full of glass, and what’s more this latest version of Nikon’s DX super zoom is even lighter than its predecessor. Weighing just 550g, compared to the 830g for the Nikkor AF-S DX 18-300mm f/3.5-5.6G ED VR, this new optic is around 1/3rd lighter but this comes at the expense of letting in less light. With a maximum aperture at the long end of the zoom of just f/6.3, compared to f/5.6 on its predecessor, the newer version lets in 1/3rd less light when fully zoomed in. The 4-stop VR system will help, enabling sharp shots of static subjects using shutter speeds as slow as 1/30th second. If you’re shooting action however, then you’ll need very good light to get the best from this lens – although to be fair the same would be said for its predecessor. With the previous f/3.5-5.6 version scoring well in our tests against the 3rd party super zoom competition from Sigma and Tamron, it’ll be interesting to see what impact the reduction in weight has on the performance of this latest version. For now you can read our comparison review of Nikon, Sigma and Tamron DX format super zooms HERE to see what it’s up against. 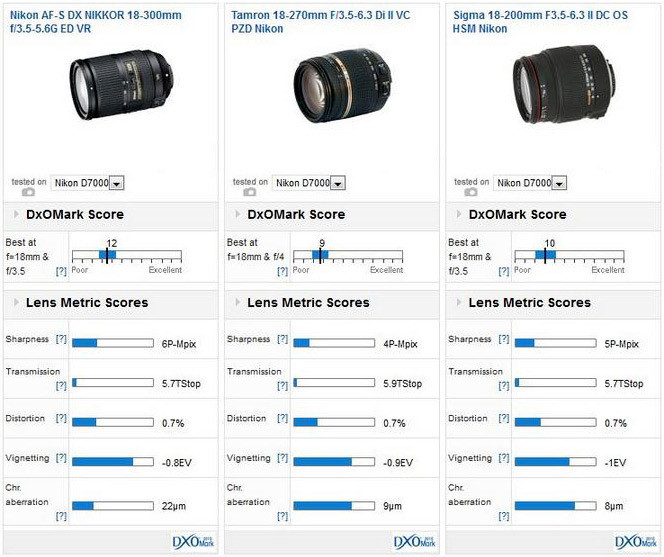 With a DxOMark Score of 12 when tested on the Nikon D7000 DSLR, the Nikkor AF-S DX 18-300mm f/3.5-5.6G ED VR came out top for DX format super zooms in previous tests. The optical arrangement sees 16 elements in 12 groups, including 3 ED glass elements & 3 aspherical lens elements to reduce optical flaws such as flare or chromatic aberration. There’s also a zoom lock switch to prevent zoom creep when the lens is not in use, as well as Nikon Silent Wave Motor, or SWM autofocus system for fast, accurate & quiet AF. The Nikkor AF-S DX 18-300mm f/3.5-6.3G ED VR will be available from the end of April 2014 with a RRP of €749.